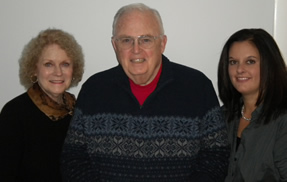 Your Sharpless and Sharpless General Insurance team: Elaine, Bill Sharpless (retired) and Jennifer Newman are ready to help with your insurance needs. Call 610.692.2600 today! Sharpless and Sharpless General Insurance believes in providing simply the best customer service and professional advice specific to your insurance needs. We sell insurance solutions in the states of Pennsylvania, Delaware, Maryland and New Jersey. Contact us for a free quote and let’s get to work on your insurance solution.